Avilius (R) will be a warm favourite to make it two wins from as many Australian starts at Rosehill. Avilius will have the backing of a Godolphin stable precedent as the import builds towards the Group One Metropolitan as a potential spring target. An early favourite for the Metropolitan, the premier staying test of the Sydney spring carnival, Avilius will contest the Premier’s Cup at Rosehill on Saturday. 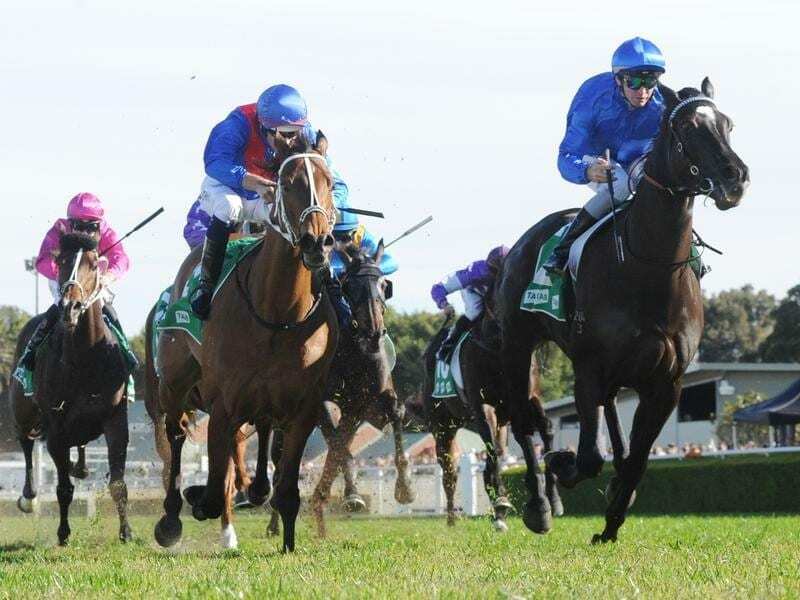 It is the race another Godolphin import Magic Hurricane collected on his way to claiming the Metropolitan in 2015. Avilius has arrived in Australia with a superior northern hemisphere record to Magic Hurricane and the five-year-old confirmed as much with an eye-catching win at Randwick over 1600m. His finishing sectional stood out on the day and it was enough for bookmakers to install the former French stayer at the top of Metropolitan betting. Trainer James Cummings says Avilius has matched the approach to trackwork shown before his Randwick win in preparation for a step up to Group Three level. “The best thing about it is that he’s exactly the same as when he went into his first start, not showing any glimpse of wanting to overdo it,” Cummings said. Avilius promises to be the shortest-priced favourite on Saturday’s card, opening odds-on with Emperor’s Way and I Am Serious the only other runners in single figures.